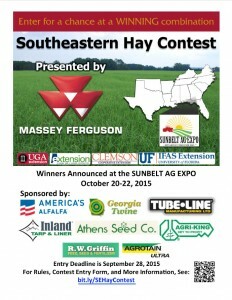 Hay producers, be sure to submit a forage sample for the 2015 Southeastern Hay Contest. Samples must be at the lab in Athens by September 28, so have the samples to our office by September 21. 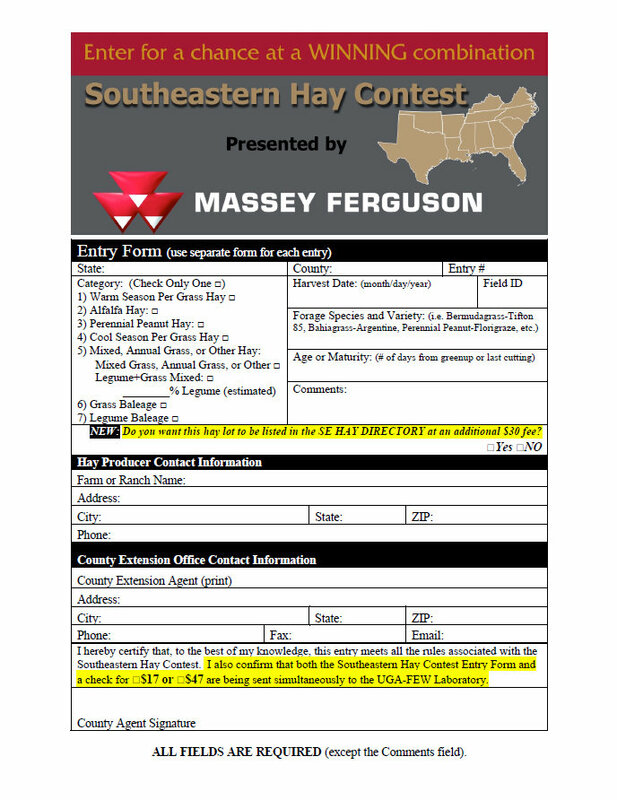 Farmers can submit more than one sample. Cost is $17. Categories are: Warm season perennial, Alfalfa, Perianal Peanut, Cool Season Perennial, Mixed, Annual, or other grass, Grass Baleage, and Legume Baleage. 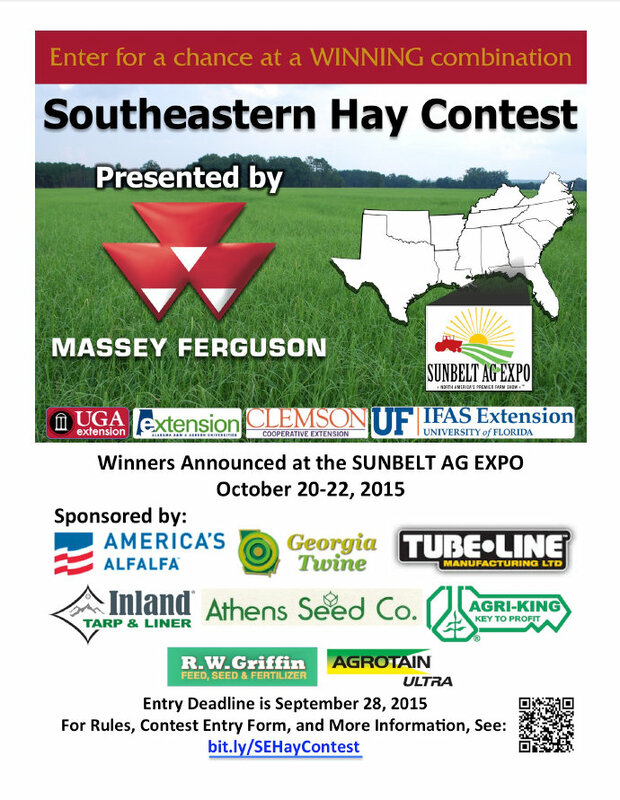 Grand prize is the use of a new Massey Ferguson DM RK rotary rake for the 2016 hay season and $1,000 in cash! 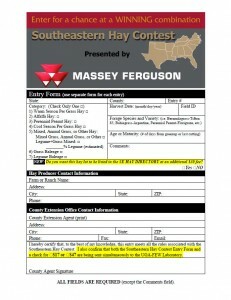 1st place in the warm season perennial grass hay will also receive the use of a new Massey Ferguson DM RK rotary rake for the 2016 hay season! 1st place in all other categories will receive $125. 2nd place will receive $75 and 3rd place will receive $50. Collect two 1 gallon bags for each sample submitted. One bag goes to the lab in Athens and the other is used for display purposes at the Ag Expo if it wins.